Well! Plans are firming up, tunes have been chosen, all kinds of info will be revealed on the website soon and at the first jam of 2017. Come and play some tunes and ask questions. Can’t wait to see you! We’ll be working on these tunes from Newfoundland and Cape Breton in the keys D and Am. Click here for the audio & sheet music. Thank you to Long&McQuade for sponsoring our access to their clinic space, 935 Bloor St. West, look for the Clinic door, go up the stairs. Admission is by donation. We work on 3-5 new tunes each time with a session leader. Optimum results for everyone are when you’ve already worked on the tune; then we can concentrate on the rhythm and feel and get the harmony and all the parts integrated. Practice sessions are a relaxed and friendly night of playing the tunes and we welcome new fiddlers, all ages and all abilities. 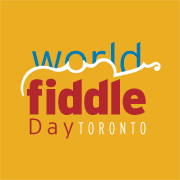 We ask all who attend to make a pay-what-you-can donation to pay our fearless leaders and to help fund our World Fiddle Day Toronto adventures.